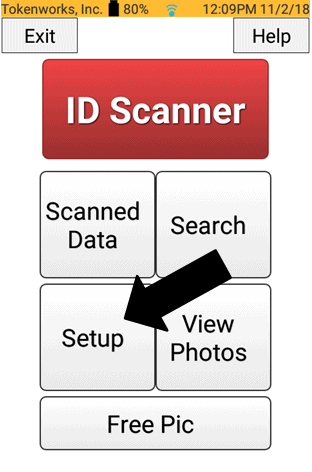 Please follow the steps provided to delete data off your IDVisor Smart/Smart Plus. 1. From the IDVisor Smart home screen go to Setup. 2. 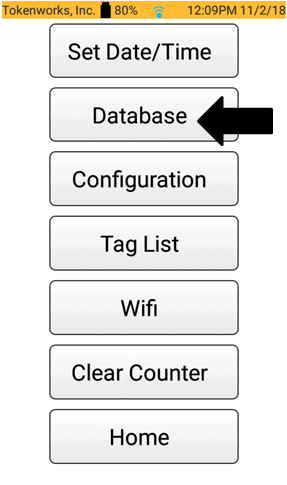 After entering the Setup Menu please select Database. Note: The Default Pincode of the device is 5678 unless changed. If you have forgotten your changed Pincode please open a support ticket here for Pincode reset instructions. 3. Once you select Database, you will be prompted to enter the Security Pincode of your device. 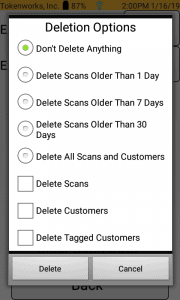 After entering the Pincode of the device you will see the Database options. 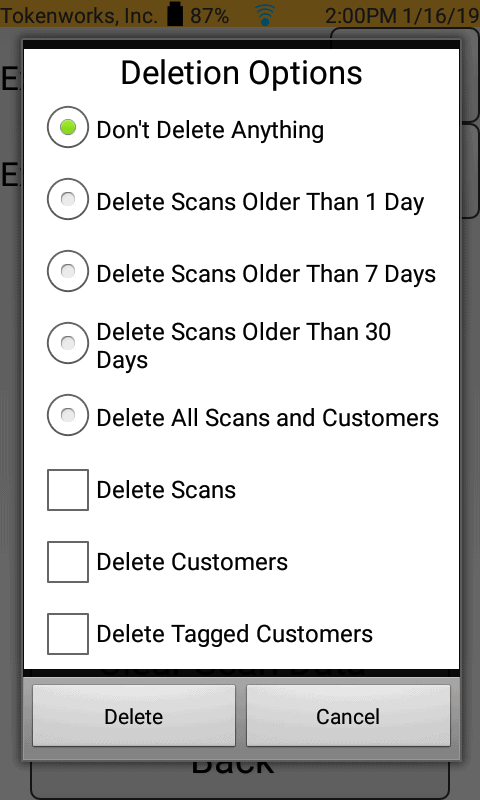 Note: Deleting data will remove all data off the device. Please see here on how to export data before deleting it off the device. 4. 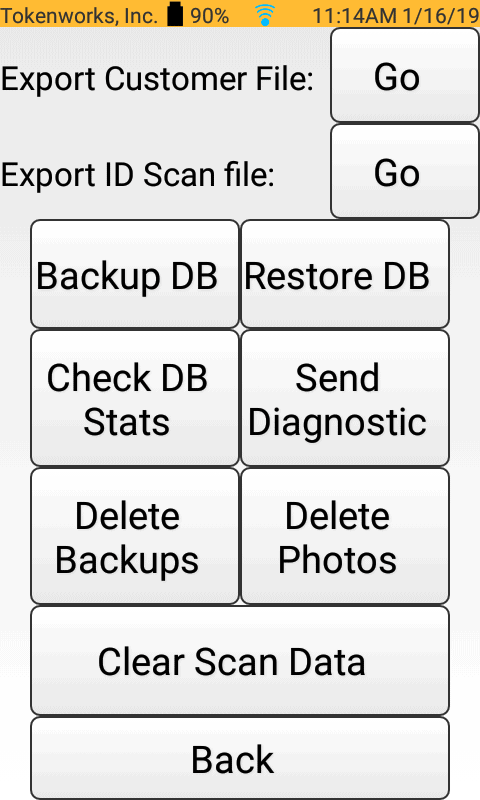 You can delete the data on the device by deleting the Backups, Photos, and/or Scan Data. 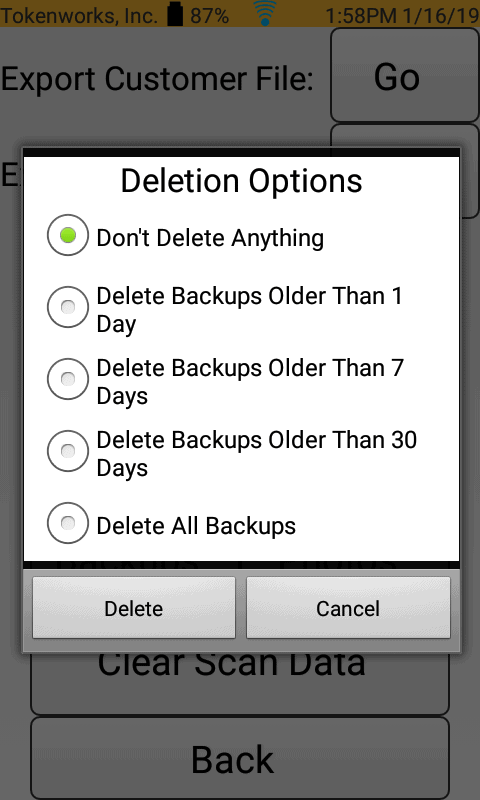 The data for each option can also be deleted from a certain time range as shown below. 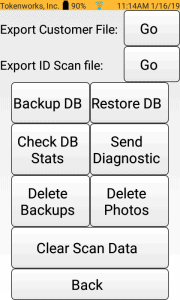 To delete ALL data on the device you will have to delete all Backups, Photos, and Scan Data. 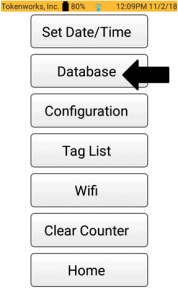 If after attempting these steps you are still unable to delete data off your device please create a support ticket leaving your Name, Business name, Phone, and email address here.